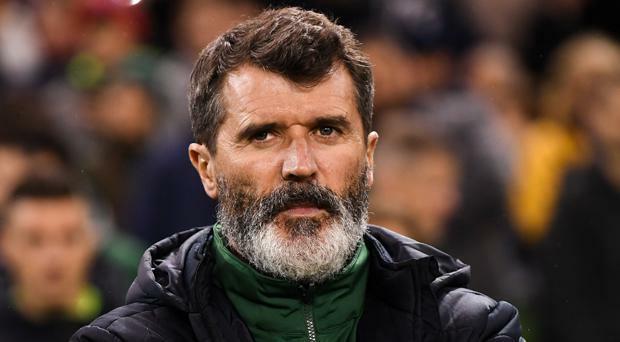 Martin O'Neill may be front man for the Ireland debacle of 2018, yet Roy Keane is the biggest loser in a story that should have ended long ago. Confirmation that O'Neill and Keane had finally left their posts as the FAI's highest paid employees finally came on Wednesday morning, with a mood of euphoria greeting news that these two fallen giants of the football world had gone confirming that they have long since lost their mandate to continue in their roles. This managerial double act should have exited stage left after last year's 5-1 World Cup play-off defeat against Denmark or when they threw their hats in the ring over managerial vacancies at Stoke and Everton shortly after and if they had done so, the vitriol they have had to endure since then could have been avoided. Instead, they stubbornly remained in place and refused to concede ground until they agreed to part company on Tuesday night. Putting the duo's star status to one side, the reality has long been that this dysfunctional set-up has had a major flaw in its make-up from day one in the shape of celebrity cheerleader Keane. Former Manchester United manager Alex Ferguson has stated time and again that his assistants were as important to his success as his star players and in Keane, O'Neill had an A-list side-kick who was unequipped to complete the tasks required of him. The responses have been varied, with some stating he is a great guy to talk to and learn from and others suggesting he is an inspirational icon to have around the camp, yet none have presented an image that suggests he has done the role he was hired to do. An assistant manager should be a buffer between the top man and the players, the go-to man if a player has a grievance or wants to get a message to the boss via a discrete and confidential line of communication. Yet when you ask senior members of the Ireland squad whether Keane has served as that accessible ally in an Ireland set-up that has long since become dysfunctional and to a man, all will confirm he has never ticked that box. Instead, Keane became O'Neill's enforcer as he put players in their place with some harsh with the manager turning a blind eye to his approach as he followed the laddish 'old school' management style that has served him well over the course of his own career. Keane's infamously angry personality means he has never been cut-out to be anyone's assistant, yet he was given a platform no assistant manager has ever been afforded to promote his own agenda under the watch of an manager who has relied so heavily on his assistants during his successful reigns as manager of Leicester and Celtic. While we all got a laugh out of the 'Roy Keane show' as he attacked his own players, Premier League manager and anyone else who came under his gaze in high profile press conferences that used to precede Ireland match, the bigger picture was there has always been a communications vacuum between the manager and his players so long as this assistant remained in place. Then, when the Keano side-show turned more sour as the details of his row with Harry Arter and Jonathan Walters became public knowledge in September, O'Neill was left in the unenviable position of defending an assistant who lost the PR war and most of own credibility in the space of a few remarkable days. Keane has not hosted a press conference since that spat as it became clear that the FAI and probably even O'Neill came to the realisation that his ability to present a coherent message for the organisation was comprimised. Before that, Keane was firm favourite to take over from O'Neill as Ireland manager, but Arter's decision to withdraw from the squad and the media reaction to that story destroyed the reputation of arguably Ireland's greatest player and now his dreams of landing one of the few remaining managerial jobs he could have inherited in football has gone for good. His gravitas as a legend of the game ensured that every Ireland player wanted to be liked and accepted by Keane, yet only a chosen few were given a pass from a towering figure who will now attempt to resume his own management career with his image a little more tainted than when he accepted the role as Ireland assistant manager back in 2013. This may not be the end for Keane's career in the game, but would a chairman of any top club hire Roy Keane as their next manager? On the evidence of what he contributed to the Ireland set-up over the last five years, he would be a risky appointment on a number of levels.